I'm very picky when it comes to electronic music. If I like an artist in this vein (like Lightwave, Klaus Schulze, Steve Roach, or Robert Rich) I tend to really get into it. Greinke is an artist that seems to have moved into this techno tribal stuff that Rich and Roach have moved to, yet in my opinion with lesser success. You have to admit that most of this music is highly innovative and cutting edge. Robert Rich's Propagation (to be reviewed next issue) is a very innovative statement in this realm, but honestly I long for the days of less percussive space outs. So keeping that in mind, it should easily be seen that Greinke's new work isn't that much to my liking. The ideas are good, his vision is quite worked out, but the monotonous programmed percussion reminds me too much of some of the mellower rave stuff, and the ambiance (associated with Eno who he has been unfortunately pigeonholed with since his debut album) tends to make the music too quiet at times. 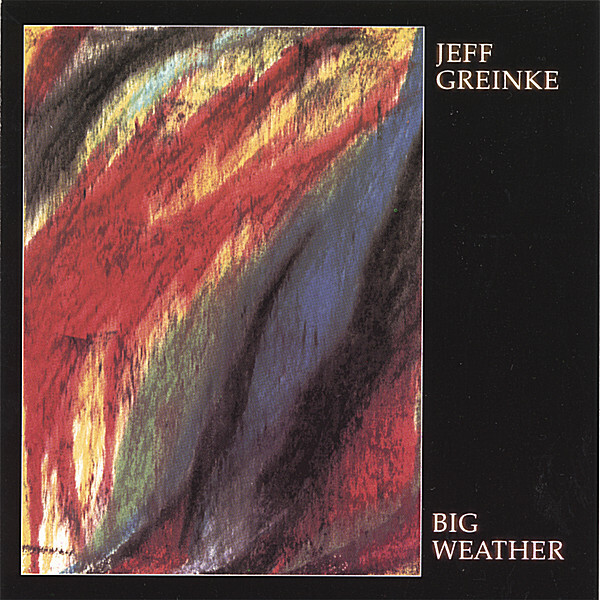 Which really means that this is too far away from personal taste for me to really get into it, but I've got to hand it to him, Greinke makes very original music that sounds little like anyone else and that that's more than you can say for most of the symphonic groups I totally love. So if techno tribal stuff is your thing, I'm sure most will welcome yet another release in Greinke inimitable style.